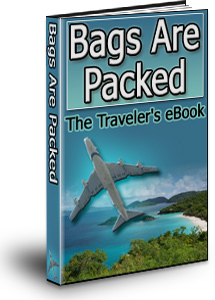 All you have to do is download this e-book, Bags Are Packed: The Traveler’s eBook. Order your copy today, and enjoy a lifetime of dream holidays! How To Get The Best The Best Online Travel Deal. Vacation Rentals Or Hotel Rooms. Planning Tips For a Cruise Vacation. Packing For a Cruise Vacation. Most Popular Family Vacations In The US.